NEET Counselling 2018 by MCC will be for 15% All India Quota seats. Seat matrix will reflect that number of seats which will be available for this quota. Only such candidates who will apply in 15% AIQ as well as qualified for it, will be able to compete for these seats. 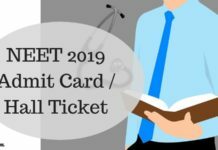 Seat matrix of NEET 2018 Counselling will be published by MCC before round 1 and round 2 separately. 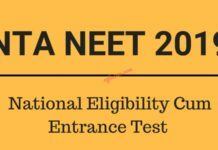 When you look at NEET 2018 Counselling 15% AIQ Seat Matrix for round 1, it will be the total number of available seats before counseling started. After round 1 seat allotment result will be published, round 2 seat matrix will be a representation of vacancies. Knowing available seats will help in taking better decision on choice filling and locking. 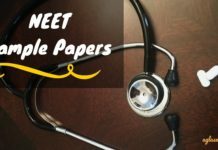 Counselling schedule of NEET 2018 will be announced on June. MCC will publish the MBBS seat matrix and BDS seat matrix. After 1st round result, MCC will publish vacant seats in MBBS and BDS seat matrix for the second round. which can be checked through the link below. MCC has published the MBBS seats details. For more details visit www.mciindia.org. MCC has published the BDS seats details. For more details visit www.dciindia.org. list based on All India Rank for the seats of MBBS/BDS falling under their jurisdiction. The Directorate General of Health Services (DGHS), Government of India will conduct the Counselling for 15% All India Quota seats as done earlier. Candidates may visit website www.mcc.nic.in for further information regarding cut off marks, etc. Candidates will apply for 15% All India Quota seats as per the directions of DGHS and Counselling will be stopped soon the seats are exhausted. Meanwhile, you can check last year seat matrix which is given below.